V. Vaidyanathan, the whiz-kid CEO of Capital First, once jokingly said that the business of money lending is an easy one because there is no dearth of customers willing to take the funds. “The problem arises when you seek to recover the loans” he added with a chuckle. Ira Dugal, the veteran editor of Mint, knows that a picture is worth a thousand words. 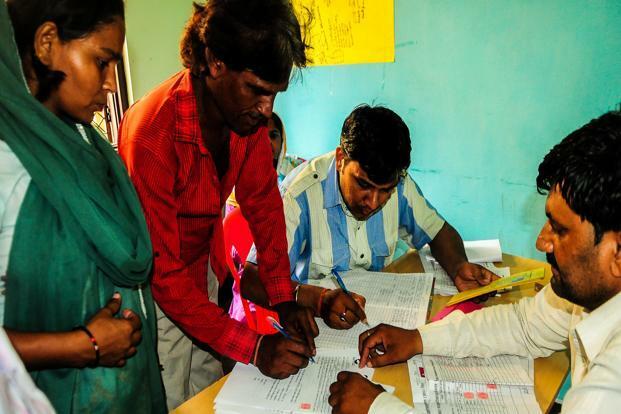 She carefully chose the image of a financially disadvantaged couple signing on a piece of paper to collect a loan from a micro-finance company to highlight the potential difficulties of recovery of loans. Ramesh Damani, the Nawab of Dalal Street, knows that privileged folk like us cannot be judgmental about our less fortunate brethren. We cannot grudge them the right to take loans and we cannot prejudge their ability to repay. However, at the same time, one has to be practical. 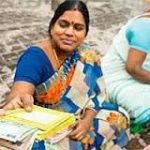 It would be better if the economically disadvantaged receive funds through NGOs rather then through moneylenders masquerading as micro-finance institutions is Ramesh Damani’s point. There are a number of alarm bells ringing that micro-finance companies may face heavy weather. M.S. 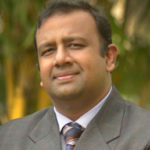 Sriram, a professor at IIM Bangalore, has conducted a detailed study of the micro-finance sector. He referred to “irresponsible lending practices” being followed by MFIs where people are lending their names and identity to someone else who will borrow. He also stated that “aggressive growth targets” for the credit officers by MFIs mean that “credit checks of identity, pipelining and utilization” are being short-changed. 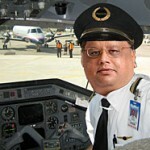 “At this time, we have all the ingredients of a potential crisis” Sriram warned. He also pointed that there have been “hundred suicides of microfinance clients” and that this cannot be termed “sporadic”. Sahib Sharma warned that the fact that the loans have grown 84% even though the number of clients has grown by only 44% means that the micro-finance sector is “growing too fast yet again for its own good”. 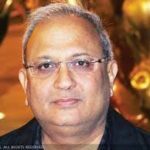 Ira Dugal has drawn heavily from the research report of Parag Jariwala and Vikesh Mehta of Religare Capital Markets and referred to the various alleged malpractices being carried on in the sector. “There is enough reason to keep a skeptical eye out on what is happening in the space” Ira Duggal warned. Shyam Sekhar, a stock market expert who refers to himself as “Chief Ideator”, has added a new dimension to the entire debate. His point is that not only is the risk of NPAs abnormally high owing to the profile of the borrowers but the entire business is one of “organized usury” and that adverse action from the Government is imminent. Shyam Sekhar explained that unlike traditional Banks where the lenders/ depositors support aggressive recovery from recalcitrant borrowers in order to save their own money, micro-finance banks do not have the same level of support. “A micro-finance company has zero stakeholders (depositors) on one side and all stakeholders (borrowers) ranged on the other side” he said. “What happened in Andhra Pradesh (where the Government banned recovery by MFIs owing to a spate of suicides from over-indebtedness) can happen anytime, anywhere in the Country” he added with a flourish. He also emphasized that micro-finance is “structurally a weak business” and that it “lacks the management bandwidth” to manage growth in a prudent manner. “The business has no future in an era of falling interest rates” he warned in a grim tone. “I would not give a PE multiple to usury … that’s my simple view on microfinance” Sekhar added, making his contempt for the MFI business model amply clear. Shyam Sekhar’s point that the business of lending at high rates of interest to the poor and vulnerable is akin to “organized usury” is a dangerous proposition because there are strict laws against money lenders seeking to recover usurious loans. According to the Usurious Loans Act, 1918, if the Court is of the view that the interest is “excessive” or the transaction is “unfair”, there are draconian consequences for the lender, including non-recovery of the loan. There is also a stringent law in Kerala called the Kerala Excess Interest Prohibition Act, 2012 which seeks to rein in “loan sharks who feed on economically underprivileged sections such as daily wage labourers and small scale vendors”. M.S. Sriram of IIM Bangalore hinted that the “hundred suicides” of microfinance clients is not a “sporadic” episode. 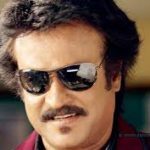 An emotive issue like mass suicides of the downtrodden who are unable to repay their loans and are being harassed by large corporate, coupled with the allegation that the loans were in the first place “usurious”, will attract heavy-duty politicians to lend a shoulder to the downtrodden. Bharat Financial Inclusion Ltd (earlier known as SKS Microfinance), is the flagship of the microfinance industry. It reported eye-popping Q1FY17 results. The revenues grew 53% while the net profit increased a mind-boggling 285%. The other micro-finance companies like Ujjivan, Equitas, Armaan etc have also reported similar blockbuster results. These figures give adequate fodder to politicians to argue that the fact that the micro-finance companies are raking in mega profits shows that they are taking advantage of the downtrodden by charging excessive rates of interest. There are no prizes for guessing who will win such a battle if it ever happens! Am just checking Ujjivan and their interst rates on small and Micro finance is about 22%, which is far less than the unorganised Pawn Brokers who charge anything about 24 – 36 – 48% PA in the market. I don’t think 22% is an Usury rate. Would you take a loan at 22%? Yes they are giving @ 22%. But most pawnbrokers will calculate @ simple interest. Micro finance calculate method is compound interest. So mfi and pawnbrokers same now. Sekar is right in using word usury but some gurus may look at just the growth and size of the opportunity :). From consumer product to home finance to B2B pharma and now MFI lets see for how long they remains bullish on MFIs. If micro finance is usury , then stock market is authorised gambling center no doubt about that!!!!! , These types of market guru (they saying) are real idiots and they sweeping money from retail investors to hni investors. 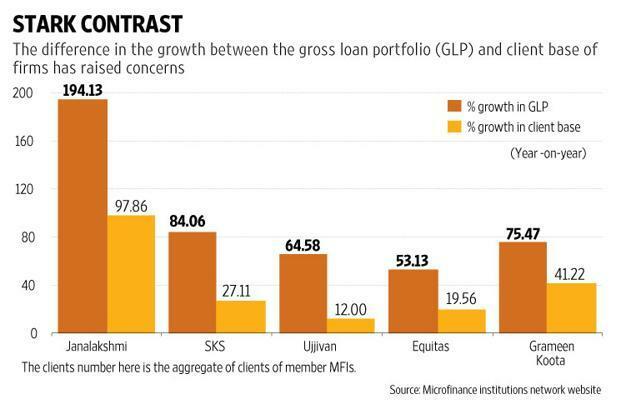 Where you get such top and bottom line growth in other then micro finance sectors? Now fact is hni want to buy MFI sector stocks but they don’t get shares.Retail investor don’t focus this types of reports and do own research and enter in stocks and save your own hard earned money. thing is, he must be feeling missed out. does he mean that these highly acclaimed, intelligent, ethical people doing a crap business? people will India will depend on MFIs unless and until the gap of rich and poor gets narrowed down drastically. yes, i would take loan at 22% because no bank entertains me, no bank is interested in such small lending when i am in urgency. They are busy lending to the toms, dicks and harrys of the infra/mining segment. Compare the lending ratio (bank : NBFCs/MFIs) of developed to emerging countries. Like you, I have seen small roadside vendors borrowing sums from Rs 500 – 10000 from moneylenders at 5-10 %/month interest. They are actually being rescued and served by micro finance companies. I do agree that MFI are presently taking advantage of their reach.But very soon private sector banks will find way to adress those small accounts which has capability to repay.So in next 5 years you will find all big and doubtful borrowers with PSU Banks and all small doubtful borrowers with MFI and NBFC . Private sector banks will keep on adding all good accounts from big,mediaum,small and now micro accounts.So private sector banks are safe bets for next 5 years. What this Sekar talks is BS!! In the USA, payday and short term loans from organized companies go for 50-100% per annum. The Indian governments ineffectual laws about usury can be gauged from the fact that my domestic servant had to borrow at 5-7% per month (60-84% per annum) when a relative of hers got sick. She borrowed 2 lakhs and for 3 years was paying Rs 10,000 per month as interest without any principal. This in Mumbai, the financial capital of India where not a single psu bank was prepared to give her a loan, though her husband works as a security guard. Finally, my wife stood as a guarantor for a personal loan from SBI who charged 16.5% plus 2.5% processing fees. With the same 10,000 she has now repaid half the loan. I myself in the early days of my business have borrowed from informal sources at 3.5% per month. Even young professionals and white collar employees find it difficult to get personal loans from banks. Most of then max out their credit cards to avail credit and pay 3 to 4% per month as interest plus late payment, if any. If SBI charges 19% (16.5+2.5%), how is 22% usurious. Moneylenders charge anywhere from 2% to 8% per month here in Mumbai. Standard Chartered , SBI, ICICI Credit card outstanding attract 3 to 3.5% per month. How then can 22 or 24% be usurious? The Indian governments laws are a sham. They are biased against the poor who are not able to offer collateral, while crony industrialists get thousands of crores in indulgent financing, and they keep asking for RBI to reduce rates. I would urge armchair analysts and short-sighted fund managers not to provoke the government into restricting micro-finance as this will only drive the poor and lower middle class into the unorganised moneylenders who charge exorbitant rates and show the middle finger to the government. Remember, Indira gandhi’s nationalisation of the banks was largely responsible for the growth of the MSME (Mini and small scale) sector that caused a huge middle class to bloom in India. Can you please explain how the MSME were helped ? It is Usury, but still business are flourishing and lot of other companies are still existing whom we have not heard yet.